Maryam was looking to pivot her career and felt that an MBA was a logical next step. She chose the Telfer Executive MBA program because it was local and it had a global orientation. The program allowed her the flexibility to work, raise her young family and study at the same time. She found the Executive MBA program to be a challenging and exciting experience. The dialogue and discussions that occurred in class were thought provoking and interesting. Working with a team of professionals who came to the program with real world experience offered a broader learning base and created real value. Maryam says that through the group work, she learned how to lead a team of highly motivated professionals, set direction and execute on strategies. The group experience also taught her how to have difficult conversations. Over and above that, she enjoyed the opportunity to do business in Silicon Valley and Brazil although she admits her most impactful consulting project was creating a marketing strategy for the MS Society of Canada. Maryam says she expected to gain the technical skills of driving business from the MBA however she didn’t expect or appreciate how much self-reflection she would have to do during the program. It was the focus on self-awareness during the first semester that helped her better understand who she was as an individual and her personal style as a team member and leader. That mindfulness and self-reflection continues to be part of her daily practice. Maryam admits that the program isn’t easy and having the letters ‘MBA’ after your name does not automatically garner you the job you want. She has had to think hard about what she wants, take ownership of her career and create opportunities for herself. She is where she is today due to her hard work, her MBA and most importantly, the love and support of her family. In 2015, FileFacets won the Information Governance Technology Solution of the year award from the Information Governance Initiative based out of New York. In 2017, the company won the “Next Best Thing” award at the Best Ottawa Business Awards (BOBS) as well as received $4M in funding from Celtic House and Wesley Clover in the first round. In January 2018, Virginia Roth, EMBA 2012, started her new role as Chief of Staff of The Ottawa Hospital (TOH). She says her focus will be on continuing to keep the physicians and the hospital in lock step – working together toward the same goals. “Neither the hospital nor the physicians can be successful if we’re moving in different directions. Every hospital needs a well-thought-out vision. A lot of the physicians who work at TOH say they like working here because of the hospital’s vision of providing the best patient care. If you start with a common vision, the decision-making process flows from that.” One of the challenges in her particular position is leading physicians who are not technically employees of the hospital. “Since there isn’t an employer-employee relationship between the hospital and the physicians, it’s important in my role to lead by influence and inspiration. Thankfully, this is a skill I honed while doing my Executive MBA." Whether it’s because of his professional background or the fact that he was nearly born in a small grocery store, it would seem that Ishkandar Ahmed, EMBA 2009 has always had the food/grocery market in his blood. As a child, he used to crawl around his parents’ grocery store in Uganda – it was his “daycare” so to speak. Later on, after his family moved to Canada, he would take on the role of managing director within his father’s company which imported and distributed natural, organic, gourmet and specialty foods from all over the world. Building on that and other experiences he learned a great deal about the food industry which has served him well in his current role as CEO of Choices Markets in British Columbia. This Alumnus Turns a Part-Time Hobby into one of Canada’s Fastest Growing Companies. Growing up, Andrew Dickson, EMBA 2002, knew he wanted to be a radio announcer. Each night he would stay up recording radio shows and then play them back in order to practice his radio announcer skills. Straight out of high school, his ambition became a reality – ‘Andy Dickson’ was a voice on the radio and a known figure in his local community of Renfrew then at CKBY-FM in Ottawa and ultimately a TV host at CHRO-TV. Five years into his radio announcing career, Andrew began to feel restless. He still loved radio announcing but wanted to work in a role which would provide him with change on a regular basis and as luck would have it, an opportunity presented itself to him. Andrew’s father owned a print shop and had purchased a second shop to add to his business. He required someone to run the second shop and Andrew felt this was just the kind of change he was looking for. He stabilized the shop, which was nearly bankrupt, and, over time, purchased a second print shop in Ottawa and then a third that tripled the size of the company. He admits he didn’t know how to run a business this big and was relying on accountants and lawyers up to that point to tell him what he should be doing. Andrew felt he was in over his head. Seven months after graduating from the program with new found skills and confidence, Andrew made a life changing decision. “In January 2003, a good friend came into my office for a chat. We had talked about the idea of starting a radio station for ten years but it was on this morning that we decided to turn the idea into a reality. Right there we devised our business model: 1. The station must be heavily involved in the community; 2. It has to be a fun place to work; and 3. The station has to be profitable.” They went through the Canadian Radio-television and Telecommunications Commission process and obtained a license. They bootstrapped what they needed to create their station in Renfrew - this was going to be a part time hobby for both of them since they were still working full time jobs. The first month the station was on the air, it was profitable and operated with six staff along with the part-time founders. The station worked out well so they started a second station in Pembroke. By 2012, Andrew and his partner owned 10 radio stations and recognized this was no longer a part time hobby. Andrew sold his printing company and dedicated all his time to the new company of radio stations. When asked if the program was a factor in where he is today in his career, Jean replies, “I credit the Telfer Executive MBA program with giving me the confidence to take on larger and more complex professional roles. Following her nineteen year career in healthcare, Nancy Desrosiers, EMBA 2015 felt her career had plateaued. As an OR nurse, she was introduced to health administration early in her career and had moved her way into a Director role at a hospital. Wanting to explore opportunities beyond the Director level, Nancy was fortunate to work for a progressive organization that permitted her time to dedicate to complete a Masters program. She knew she had a strong foundation clinically, but also knew to effectively lead at the next level, she needed to strengthen her business skills as a hospital administrator. Having been exposed to other leadership courses offered at Telfer, she felt the Telfer Executive MBA program would be a perfect fit to fulfill her academic needs and professional growth. Upon completing her MBA, Nancy accepted an Executive Director position in Vancouver. The hospital that was undergoing its very first hospital-wide accreditation – 13 hospitals; all of its 15 communities and remote sites were undergoing this accreditation at the same time. It was a complex project with a 7 month timeline. Nancy leveraged her new leadership qualities she had learned in the program to move it forward. The hospitals and its communities passed with overwhelming results of 94%. She achieved this success all the while learning a brand-new health system, a new province, a new organization and portfolio with one of the largest projects. She has now accepted a new challenge at Vancouver General Hospital in operations, as the Directors for Medicine Services, Renal, Hospitalist, and Palliative Care Programs. The scope of this role will be even more challenging due to its size, complexity and diversity of care. She now leads a team with over 700 employees, 300 beds, with over 100 M budget. The Telfer Executive MBA program has propelled her career forward and Nancy has every intention on continuing to move toward her career goal of Vice-President level and eventually taking on a President’s role. One of the greatest takeaways of the Telfer Executive MBA for Bryan Belanger (EMBA 2007) is the confidence he has gained. Being able to try something different or take a new approach without fear of making mistakes has allowed him to achieve his goal of becoming a young executive and earning the respect of his peers as an exceptional leader and one who continually delivers on his commitments. Before his MBA, Claude Morris, EMBA 2015, spent fifteen years in the high tech industry as a software implementation consultant. This was followed by a career in engineering management and enterprise software sales. Currently, Claude is Vice President of Client Services at BGRS and says the Telfer Executive MBA program equipped him with the skills and the network required to, not only land this role, but also to be successful at it. Now the President of SageTea Software, Scott maintains he uses his MBA every day. “When my business partner and I started SageTea Software, it was like any other start-up company – very little funding and short on staff. We ended up doing many of the jobs ourselves: from marketing and business case development to negotiating leases and developing contracts. The MBA gave me knowledge in all the areas I needed to help grow SageTea into a viable company. Once the company graduated from Invest Ottawa, they moved into a larger space at General Dynamics Mission Systems Canada and joined their business accelerator network. Again, it was a connection that Scott made in the program – one of the members of his group in fact – that helped him secure this opportunity. More recently, he filled a business development role in the company by reaching out to one of his classmates who works in the recruitment space. 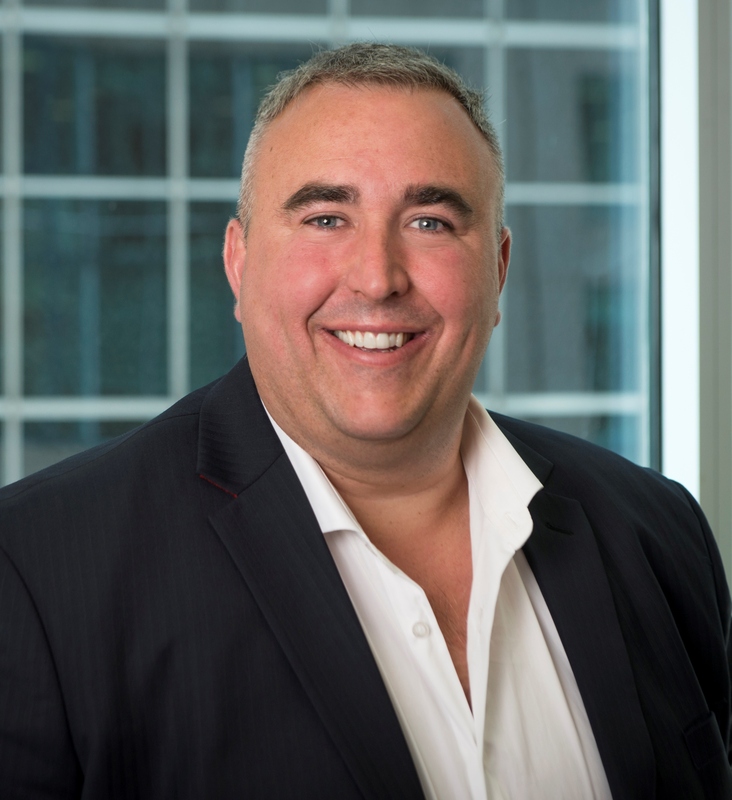 Mark Edwards is the founder and General Counsel to Edwards PC, Creative Law, a three-member boutique, with offices in Toronto and Ottawa, practicing exclusively in the entertainment, new media and software industries. As a lawyer and a business executive, Mark is building and helping others to build IP-based, creative businesses in film, television, games, music, new media and software. Before establishing Edwards PC, Mark spent many years working in television production, advergaming and branded entertainment. Mark joined the Telfer Executive MBA after transitioning from thirteen years of Commercial Litigation into a Business Affairs position with Amberwood Entertainment, a Canadian animation company that he helped found. While he had the drive and the interest to do well in this new position, he felt he was missing the skills, language and basic business frameworks to be successful. . The most powerful element of the Telfer Executive MBA for Mark was the relevance of what he was learning to the issues he was confronting in the workplace. The immediacy of applying what he learned, coupled with the exposure to fellow business leaders in the community, remains important for Mark as he continues to meet new professional milestones. .
During the seven years that Mark was in an active role with Amberwood Entertainment, he financed and produced over $52 million of animated children’s television programming. Craving a new challenge, Mark worked first as an independent Executive Producer and later as Managing Director of Fuel Industries, a company that specializes in advergaming and branded entertainment, at that time with a staff of nearly 100. .
For as long as he can remember, Doug Wotherspoon, EMBA 2013 has always been an entrepreneur. At the age of seven, he had a paper route and took advantage of his father’s investment wisdom to grow his savings account which paid for university, his wife’s engagement ring, and his first company. While at Carleton University, Doug started a publishing company and shortly after finishing, created Capital Trolley Tours which became Capital Double Decker and Trolley Tours – an Ottawa-based sightseeing company. Later in his career, he co-founded a sustainability consulting firm which led to his current employment with Algonquin College. Now Vice President, International and Strategic Planning at Algonquin College, Doug still thinks of himself as an entrepreneur. “I’ve switched from being a for-profit entrepreneur to a for-cause entrepreneur. I believe passionately that every organization needs to live an entrepreneurial spirit; an entrepreneurial mindset of risk tolerance, recognizing that you learn as much from your mistakes as you do your successes and keep moving forward. Algonquin has an entrepreneurial mindset – that’s why I love working here.” Doug sees this mindset rooted in the Executive MBA and especially in the international trip components and says this is what attracted him to the program in the first place. For much of her 25-year career, Heidi Vincent, EMBA 1999, has managed and directed corporate communications, marketing communications, investor and public relations, for some of Ottawa’s high tech success stories such as MOSAID Technologies and JetForm Corporation. She got her start at Newbridge Networks, and went on to excel as a savvy business communications professional, raising exposure and managing corporate reputations in public markets. Seeking a change and opportunities to make a difference, following graduation, Heidi was keen to apply her skills within not-for-profit organizations. Moving on to the International Development Research Centre (IDRC), Heidi was led to West Africa, Egypt and India. In this role, she focused on public-private partnerships that funded ICTs research initiatives for poverty alleviation in developing countries. She also lent her talents to Scouts Canada for a year term as their Director of Communications, to promote the 100th anniversary of Scouting for youth. The venture most dear to Heidi’s heart, was collaborating with her mother, Sylvia, on a children’s book publishing company. This mother-daughter team was named among the Top 50 People in the Nation’s Capital by Ottawa Life Magazine and as “The Little Publisher That Could” by Montreal Gazette. In the prime of their venture, they achieved national sales with award-winning motivational children’s books and several titles were licensed for animation. The Ottawa Integrative Cancer Centre (OICC) is Heidi’s not-for-profit healthcare focus these days. As the first of its kind in eastern Canada, OICC has been awarded the two largest-ever integrative cancer care research grants in North America. It is a game changer for cancer. Leading marketing communications and PR for OICC since it opened five years ago, she is passionate about contributing to its growth so that more people can access its care. Most recently Heidi spearheaded the PR launch of OICC’s first major fundraising campaign Changing How We Live With Cancer, with Honorary Chair Bryan Murray and in partnership with the Ottawa Senators Foundation. Founder and CEO, Rebel Technologies Inc. The year 2014 was a memorable one for Dr. Viren Naik. In the midst of finishing his Telfer Executive MBA program, he was promoted to full professor at the University of Ottawa, and was appointed the Vice-President, Education at The Ottawa Hospital. Viren’s greatest achievements since graduating from the program are both professional and personal. “For my business consulting project in the program, I deconstructed and then reconstructed the way we train anesthesiologists in Ontario - moving it from a time-based model to a competency-based model.” In doing so, the training process can become more efficient. Throughout the rest of Canada, anesthesiologists are trained over five years; however in Ottawa, due to Viren’s business consulting project, anesthesiologists will be trained in just four years. His suggested training model has been approved by the Royal College of Physicians and Surgeons of Canada as well as the Ministry of Health, and this year the first cohort started the new four year training process. By 2005 Dave Adamson had served in several Director General roles in the public service. He was eager to continue advancing his career when the Public Service Commission passed a policy stating all EX level employees of the federal government required a degree. Dave had never been a fan of school however it was clear to him that in order to progress his career he would need to return to the classroom. Dave enrolled in the Telfer Executive MBA Program having the support of his family and his CIO at that time. The decision to apply to the Telfer Executive MBA Program was easy for him as he wanted a local experience and one that would provide him with face-to-face exchanges with professors and peers. Dave’s experience in the classroom was a positive one. He immediately found value in the skills he learned while in the program implemented them in real-time into his workplace. The team environment was also an asset. Dave was assigned to work with a team for the twenty-one months of the program that was diverse and they functioned well together. “The team I was in had similar expectations around grades and what we wanted from the program which allowed all of us to form good relationships and communicate openly with one another” says Dave. Upon entering the Telfer Executive MBA in 1999, Ravi Parmasad had a solid background in math and computer science as well as a career in database administration for Newbridge. A year into the program, Newbridge was bought by Alcatel and Ravi was promoted to Leader of eBusiness Architecture. While in this position, Ravi became very curious about how the business was run; how did it all work? He could spend 20 years with the company and learn the mechanics of it or he could go back to school and gain a theoretical understanding of how a business should be run. A general baseline of business knowledge was what Ravi wanted and so his journey with the Telfer Executive MBA began. The first noticeable thing about the Program for Ravi was the environment and how conducive it was to learning. “The Program made it easy to come to class and learn; easy for everything to co-exist.” He found the quality of the Professors to be exceptional and due to Ravi’s background, he connected immediately with many of the quantitative Professors in the Program. “Financial Accounting, International Finance, Strategy and Statistics were high points for me. I was so curious about these subject areas”. Shortly after graduating from the Program, Ravi was made the Director, Business Operations at Alcatel. “This was the tipping point for me. Why would an organization hire a technical guy in a frontline business role? I wouldn’t have made the short list for this position without having completed the Executive MBA.” While in the Program, Ravi didn’t realize the significance of this critical decision he made by enrolling in the MBA Program. Presently, Chief Quality and Environment Health and Safety (EHS) Officer for Alcatel Lucent, Ravi says it was the decision to enroll and complete the Program that has had the largest impact on his career. As a Financial Advisor and former Director of Business Development at Desjardins Financial Security, Rudi Asseer was contemplating a different prospective; a challenge; specific skills to use in his career. He decided an MBA would provide him with all of these things. He enrolled in the Telfer Executive MBA Program in the fall of 2012; he already felt at home in the Telfer environment having participated in The Leadership Forum in 2010. “One of the things that captured my interest about the Telfer Executive MBA curriculum was the six consulting projects. I like that the Program connects itself organically back to the community through its projects” says Rudi. The project that resonated most with Rudi was the Innovation and Entrepreneurship project where he and his teammates engaged in a consulting project for a company based in Silicon Valley. This project and trip provided Rudi with the opportunity to dive into technology and gain hands-on experience working with a start-up company. Having worked in the Public Service for 31 years, Kami Ramcharan had a good set of skills that she could draw on in her career however she realized that an MBA would provide her with additional qualifications which could give her credibility across the organization. The MBA was also a great opportunity to broaden her network. Kami was looking for a Program that would provide a good balance between course work, real world experience and team work and found it in the Telfer Executive MBA Program. “I researched a few different schools and determined that the Telfer Executive MBA provided the best flexibility for my schedule allowing me to continue working full time as well as go back to school. I liked the design of the curriculum and the real world experience offered through the International Trip". Kami credits the Telfer Executive MBA program with giving her a new-found confidence in everything she does, along with expanding her network, developing new and lasting friendships, providing her with additional qualifications relevant for any professional whether they work in the private, not-for-profit or public sectors. “The Telfer Program taught me a lot about successful leadership. Many of us in the Program were Type A personalities and Type A’s do very well on their own. Through the Program, I learned how to get a team to do well by living through all the group work” says Kami. Changing Business Environment without it? Before the Telfer Executive MBA, Maurice Chénier worked in the technology field with responsibilities in the areas of portfolio management, large-scale project management and sourcing strategies. His long-term professional goal was to achieve a C-level role and he felt that pursuing an MBA would help him get there. Within a year of completing his MBA at Telfer, Maurice attained his goal and then some when he became CIO of Public Works and Government Services Canada. Since then he has transitioned to CEO at Public Works and Government Services Canada, to Senior Assistant Deputy Minister at Shared Services Canada and presently Vice-President, Information, Science and Technology Branch at Canada Border Services Agency. In his current role, Maurice is responsible for all transformation IT- enabled projects and technology innovation and deployment that is required at our Canadian borders, including science and engineering behind the required detection and forensics analysis and research technologies. His team consists of more than 1400 employees and supports key industry consultants in various professional domain fields. Fourteen years after graduating from the Executive MBA Program, Maurice says he uses the toolkit he gained from the Program on a regular basis: “There are many skills I learned in the Program from strategy to problem solving, the human dimension of change to risk management and many more. All of these skills created a new toolkit for me and I continue to use it in my job every day. I am able to bridge business opportunities with business solutions and it is the body of knowledge that I learned in the Program that enables me to do this by being able to look at issues from many different angles.” Over and above the toolkit he received, Maurice also credits the Executive MBA Program with the development of his network. “The diversity of the people in my class provided more learning opportunities for me and my classmates became new contacts for my professional network. My group alone consisted of myself (background in technology), a CFO, a senior consultant, an ex-military executive, a pharmacist and other great business leaders. The caliber of the people is amazing and the camaraderie of the class is beyond any other traditional academic experience. The benefits of these relationships continue long after the Program ends.” Maurice says he still stays in close touch with several of his classmates as well as a few of his Professors and these connections have become his long-term network of knowledge. Since many of these contacts work outside of his industry, they help provide different perspectives or expert advice when he requires it. Some of the best experiences in the Program for Maurice include the professors and how current their knowledge is in their particular domain; the quality of the program logistics; the staff’s client focus; and finally the international trip. “The trip comes at the end of the Program and it is the culminating aggregation of all the knowledge and practical experiences you have learned in the Program,” says Maurice. Now leading a highly visible program that has major national security and economic impacts as Vice-President, Information, Science and Technology, Maurice credits the Executive MBA Program for giving him the tools to excel in a high-paced, changing environment. Maurice reflects on his experience and concludes: “The Telfer Executive MBA Program is a performance imperative”. When Shannon Gorman, Class of 2007, entered the Telfer Executive MBA Program, she had a great deal of experience in fundraising, in particular for the not-for-profit sector. She would have never guessed that after graduating from the Program 21 months later, she would land a position at TELUS heading up their community investment activities in Ottawa, and then progressed onto becoming their Director of the Eastern Canada Community Affairs and now the National Director of Community Affairs. Hard skills are only part of what is learned in the Program; candidates are presented with many challenges that call on them to make use of their soft skills as well. “The soft skills were unexpected,” says Shannon. Learning to deal with difficult people as well as becoming more comfortable with having difficult conversations have been very helpful.” Much of what is taught in the Program in the area of soft skills not only provides insight on how to deal with others, it demands the candidates learn more about themselves. “While taking the Program, I was confronted with my strengths and weaknesses as an individual and learned how to be ok with them. I immediately took this skill back to my job – asking for help in areas that I found challenging and offering help in areas where I excelled” says Gorman. Caterina Barraco has spent the past 17 years of her career with Bell Canada. Presently, as Associate Director of Strategic Planning, defining the strategy and plans for the architecture and operations of Bell Business Markets is her primary focus. After being with the company for several years, Caterina wanted to move her career forward and began entertaining the idea of going back to school. Having a background in science, she felt she needed to improve her business lexicon. Knowing that she wanted to stay local, she enrolled in the Telfer Executive MBA Program. Previously, while working within the government, Bryan was interested in doing his MBA to gain business operation tools and to build his credentials while he continued to work. “I’m an Ottawa boy. I wanted to put roots down here so the location of the Executive MBA Program at the University of Ottawa worked well for me.” In the year 2000, with his MBA under his belt Bryan decided he would take another crack at a role in government. He sold his shares in the staffing company so he could run for public office for a Federal MP position. Unfortunately he lost in 2001. His decision was to go back to the staffing agency and start again. Using all his previous experience to draw on, he created what MaxSys is today; a business generating 80 million dollars of revenue a year. While doing the Executive MBA, Bryan developed an initial business plan for a national staffing company for his summer Individual Business Consulting Project. Currently Brulotte’s company is on track to be one of the top three staffing companies in Canada within the two years and if all goes according to his plan his company will be on top in five years’ time. “Whenever you reach a crisis point in life or at work and you have to make the decision to stick with it or move on; I say stick with it. Don’t let go” says Brulotte. Caroline Ishii is a brilliant example of how passion, determination, and talent can combine with the business skills taught in the Telfer Executive MBA program to result in a wildly successful business venture. After working for over 20 years in senior marketing and communication roles, Caroline took a substantial risk to follow her lifelong dream of opening a restaurant. Caroline ran her own consulting business for a few years, following her graduation from the Telfer Executive MBA program in 2001, before deciding to enroll in a professional chef program in New York City. She went on to study in the United States and Japan after the program, and returned to take on the role of Owner and Executive Chef of ZenKitchen. Caroline’s vision for ZenKitchen was to create “a company that would offer delicious and beautiful food that was healthy and sustainable, both in its food and its business practices”. She is realizing her vision for creating a successful restaurant given that ZenKitchen had received numerous awards such as “Best New Restaurant of the Year” awarded by the Ontario Restaurant Hotel & Motel Association and “Top Restaurant Choices in Ottawa” mentioned by the Lonely Planet Guide. As a chef, Caroline was the first female chef asked to compete in the prestigious Gold Medal Plates competition in support of Canada’s Olympic athletes. She competed in 2010 and 2011 where she won silver for both years. Caroline and her partner/co-owner Dave Loan have also been featured on a 13-part documentary-reality series called “The Restaurant Adventures of Caroline and Dave”, which has aired on the W network, the Asian Food Channel, and most recently on the OWN Network. “My life has completely changed from what it was before I joined the Telfer Executive MBA program, I have a completely new direction and career”, says Caroline. On November 18th of 2009, Marlene Thicke launched her new business, Marlene-Ink Inc., a consulting practice that specializes in graphic facilitation and recording. She works with public, private and not-for-profit sectors during conferences, workshops and meetings to capture “a moment-by-moment blend of inspiring imagery and visual metaphors in real-time.” Her motto, “Help people see what they say,” represents the full sensory experience that she provides through her work. Marlene credits the Telfer Executive MBA as the springboard for her career. Throughout the program, Marlene was able to round out her strategic thinking, learn various business tools that could be applied to critical assessment in the workplace, and gain access to leaders that she would have otherwise never met. During the program her interests in human dynamics and emotional intelligence led her to become a certified practitioner of Meyers-Briggs Type Indicator and Neurolinguistic Programming. Most importantly, the Telfer EMBA provided her with the framework and tools that are the basis for her new consulting business. Prior to undertaking her Executive MBA, Marlene worked for Public Works and Government Services Canada (PWGSC) where she focused primarily on performance measurement, strategic planning, and IT systems development. Nowadays, when she isn’t the Chief Doodler at Marlene-Ink, she is a Strategic Advisor with the Treasury Board Secretariat (TBS) where she continues to utilize the skills she gained through the Telfer Executive MBA. As Marlene moves forward to an exciting new phase of her life, she is equally excited about the opportunity to give back to the Telfer Executive MBA. She looks forward to the challenges that lie ahead and the chance to graphically record dialogue in order to convene people around a common story, leading to group growth and a shared understanding of the way forward. National Business Manager, HEAD Canada Inc. The Telfer Executive MBA pushes you to new limits in a protected team environment. The result is a newly found greater sense of confidence both personally and professionally. Cathy Lewis believes that education is the most important investment we can make, whether at the personal, professional, or community level. She firmly believes education has the power to make the world a better place. With undergraduate degrees in Literature and Psychology, a Bachelor of Education, and an MBA, Cathy is the epitome of education. In 2001, Cathy became the founder of iSisters Technology Mentoring Inc., a charitable organization that provides underprivileged women with the opportunity to receive training in technology, opening the door to job opportunities and financial independence. The organization has had phenomenal success, receiving national awards and recognitions from the community. In 2019, 3000 women will have graduated through their 14 technology learning programs in Ottawa. From 1998 to 2007, Cathy was a groundbreaking education technology consultant working with organizations like Microsoft, Public Works GSC and NASA. Finding herself in male-dominated meetings and dealing with increasingly technical projects, Cathy felt a growing need to better understand more aspects of business and further establishing her credentials. In addition, Cathy felt she deserved an investment in herself and her future. In 2005, she enrolled in the Telfer Executive MBA. The academic challenge was unparalleled. An avid learner, Cathy loved knowing nothing about a subject – such as Supply Chain Management – and then having a thorough understanding of it only a couple of months later. Much of what she experienced in the program was brand new and the knowledge left her with feelings of confidence and invincibility as well as new life-ling best friends. Cathy has been a proud and active alumni representation for her class since graduation. After graduation, Cathy worked as the Business Excellence lead with Abbott (health care and manufacturing). In this role, Cathy led Lean Six Sigma, Shingo, Global Environmental, Health and Safety as well as ambitious apprenticeship programs which resulted in 382 graduates. She also created customized learning plans with 28 colleagues where they earned their high school diploma. After that, Cathy was the Director, Program Management Office (PMO) and Employee Communications with the Royal Canadian Mint. Cathy’s academic and professional experiences have culminated to consulting where she specializes in education and strategy as well as active volunteering with organizations such as iSisters and Habitat for Humanity. Her greatest achievement? Hiring a graduate of the iSisters program to become a Program Manager, working onsite in the community, teaching new Canadian women about the power of technology and education. Jane McVeigh was a 2008 recipient of the Ottawa Business Woman of the Year award due to her work as Vice-President of Human Resources for General Dynamics Canada Ltd., a company specializing in defense technology. In April 2009, Jane joined past recipients at the awards gala to celebrate the accomplishments of herself and other strong business women in the community. Jane described the event as a humbling experience as she joined a group of “acclaimed, successful, and socially responsible women”. Jane has spent her entire career in Human Resources (HR) and has been in her current role at General Dynamics since 1999. Throughout her career, she has been a strong advocate of learning and, when she began to discover limits in her understanding of business, Jane sought out an opportunity to expand her business acumen. At the recommendation of her colleague, David Ibbetson of the Class of 2002, Jane decided to enroll in the Telfer Executive MBA. Her goal in the Program was to become a better executive and increase her value to her company, to become more effective at what she did – and loved to do. Her goal was achieved as her relatively myopic view of business was stretched, allowing the development of richer strategies for General Dynamics and a whole new personal appreciation for business issues. “The general business learning you get [in the Telfer EMBA] makes you even more valuable within your specialty,” said Jane. Now, in every decision, Jane has increased the factors she takes into account and her knowledge has made her a valued and relied upon person for issues within and outside of HR. As Jane continues to promote growth at General Dynamics, she looks back fondly on her time in the EMBA. Since her graduation in 2004, she relishes the relationships she has established with fellow alumni. She is continuously benefitting from both the academic and personal growth that was accomplished during her studies with Telfer.